Lithuania is a small European Union country, located in Northeastern Europe. Nearly 10% of 3,000,000 Lithuanians are protected by avast! Antivirus. Among them is one special person: Paulius Yla, an AVAST Evangelist. "Evangelist" is the term we use for those people who willingly volunteer their personal time and expertise to help others benefit from avast! Antivirus. The most active place for evangelists is on the AVAST forum. Four years ago, we organized a big meeting for AVAST Evangelists in our Prague headquarters. It was a unique, emotional meeting for both sides: The AVAST team and the AVAST Evangelists. It was an opportunity to meet people we knew only from the cyberworld - The AVAST forum. This is when I met Paulius in person. Paulius, who under the username "YLAP" on the AVAST forum, has been helping users precisely since January 20, 2005, 02:48:04 PM. :) During his years on the forum, Paulius has generated over 1,800 posts and helped countless of people. But the forum is not the only space where Paulius is active. 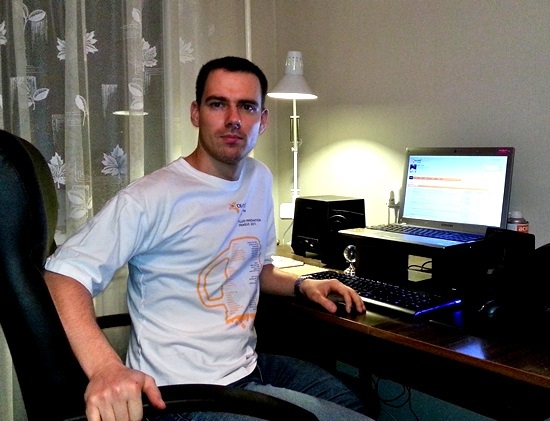 You can also meet him on Facebook sharing useful tips, so do not hesitate to follow him, as Paulius is a great AVAST expert. We value our evangelists greatly and there are no words to express our gratitude to Paulius and the others for all their work and for being "AVAST ambassadors" all over the world. In the past we have introduced you to Bob Gostischa (USA), Lisandro Carmona (Brazil) and Charlie O. Prince (USA). It's time to meet more of the AVAST Evangelists and welcome them officially, and thank them for helping you also on social channels. 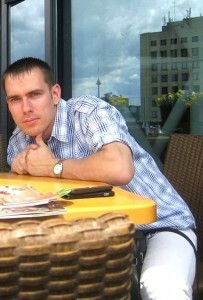 Please say "Labas" (hi in Lithuanian) to Paulius and get to know one of our experts. Paulius, tell us how you learned about avast! Antivirus? I was interested in computers at school already. When my father bought me my first PC (it was a used one), I was thrilled and curious, so I have experimented with it a lot. I can't remember how many times I have "killed" Windows before I learned to re-install it by myself. I had no internet at home, but I had already heard some things at school about antivirus and security, so I was sure I needed antivirus protection (I can't explain why :D ). I installed my first avast! Home Edition on my oldie, distributed with a computer magazine on a CD. It was a 300Mhz Pentium II, 2.4 GB HDD, 64 MB RAM, CD-ROM and some kind of video card. A beast, isn't it? :) And everything was running Windows 98SE. I can't remember it exactly, but it must had been 2002 or early 2003. The last OS running on it before my new PC (I've got it on Y2004) was Windows ME. I still remember downloading VPS updates to the single floppy disk at school once a week. Do you remember what was the first version of AVAST that you used and what was your OS? You have been active on the AVAST forum since January 2005 (10th anniversary is coming!). What brought you to the AVAST forum for the first time, and what made you stay? Yes, it seems a long time! :) Stats shows that I have spent more than 27 full days online. But, compared with the other Evangelists, I think it is not that much. What brought me there? One word - curiosity. I was really interested in computers and related topics. There was a knowledge contest, organized by the magazine and some of the given topics were computer-security related, so I was simply looking forward to improving my knowledge. What made me stay? Not only the technical stuff, but also a really friendly atmosphere. No one judged me when I tried to help others with my current knowledge, no one said "Newbie, go away", moreover - I was encouraged to continue. After some time and gaining more experience I have joined to BETA testing. It was 2005-05-21, when I downloaded my first avast! 4.6 BETA to join testing. Luckily, I'm not on dial-up anymore! I am using the blazing fast 256/128 kbps DSL. Back to BETA - it was again curiosity that drove me to join the testing. It is so interesting to try new things, to join the bug hunting and to discuss it with others. In this way I have learned a lot of things by myself (and with help of forum) - how to backup my system, how to completely reinstall it, how to configure and secure it, why updates are so important and so on. I've stayed because I was able to share my experience with others, and also I was able to get more experience myself from the others. Could you share your most remarkable story about the AVAST forum? It is so hard to remember the most remarkable one. I have a lot of them. I think the most remarkable thing to me is what I have never regretted being a part of this community. And this community is valued by the avast! team a lot. I think it is a huge difference compared with other companies. How would you describe the role of AVAST Evangelists to our readers. And it is true in some way. We all are willing to help other avast! users in finding the solution or answer to their issues, to get the best experience while using avast! Antivirus and even more. Evangelists also share their experience, so is sort of "Perpetuum mobile." Within the last 10 years the digital world and users behavior has changed a lot. You were among first evangelists that went out of forum to help other avast! users. What is the difference? A lot of things have changed. Think of the amount of threats, how they worked and what you needed to secure your PC and your data 10 years ago compared to nowadays! More complex and sophisticated threats require more complex security solutions. The result is that you need to know more, in order to explain it easily to less experienced users, especially those I meet on social networks nowadays. The difference between Facebook and the Forum is huge. Social media is an open space with mostly no restrictions how you share your experience or problems. Sometimes you are willing to help users facing some kind of issue and the solution may be really simple. I could use some “template” answer, to easily resolve users issue. The problem is that I'm not recognized by the community there (like on forum, where I have official status of AVAST Evangelist). So it happens sometimes, that users are asking: "Hey, who are you? Stop spamming, you are not from the avast! team." So social media requires a different approach, and sometimes it seems not so friendly place as the forum. You have to react fast and convert negative posts to positive experience or solution. Moreover, you need to find the solution quickly in comparison to forum where we very often get into longer discussions. This is however a new challenge and experience and as I mentioned at the beginning: I love to learn new things.